The major changes in the updated Nexus Guide include clarifications to the role of the Nexus Integration team, an explanation on how transparency at scale looks, and alignment with the 2017 Scrum Guide. The Nexus Guide is a framework that helps organizations to scale Scrum. Details about the update can be found in Nexus Guide Update - January 2018. InfoQ interviewed Patricia Kong, product owner at Scrum.org, about the changes to the Nexus Guide and the benefits that organizations have got from using Nexus. InfoQ: What are the major changes to the Nexus Guide? Patricia Kong: On January 17, 2018, Scrum.org released the first update to the Nexus Guide which contains the rules of scaling Scrum with the Nexus Framework. We wanted to help organizations scale what they were likely already experiencing, pockets of agility and successful delivery with one or two teams using Scrum. To do that, teams needed a framework that binds and weaves them and their work together. Nexus does that. Since then, we’ve worked with organizations using Nexus and learned about implementations from the experiences of the wider Scrum community. One important change in this update to the Nexus Guide was focused on clarifying the role of the Nexus Integration Team. We found that the role was somewhat misunderstood. Often, much of this confusion stemmed from the name of the team. It’s called an "integration" team, yet the Nexus Integration Team is not responsible for doing the actual integration. The reason that we stress integration is because the role exists to ensure that a "Done" Integrated Increment is produced at least once a Sprint. To achieve that goal, the Nexus Integration Team may help the entire Nexus through coaching, consulting, and bringing awareness of dependencies and cross-team issues. Another misconception was that the Nexus Integration Team was a new management team, which is not the case. 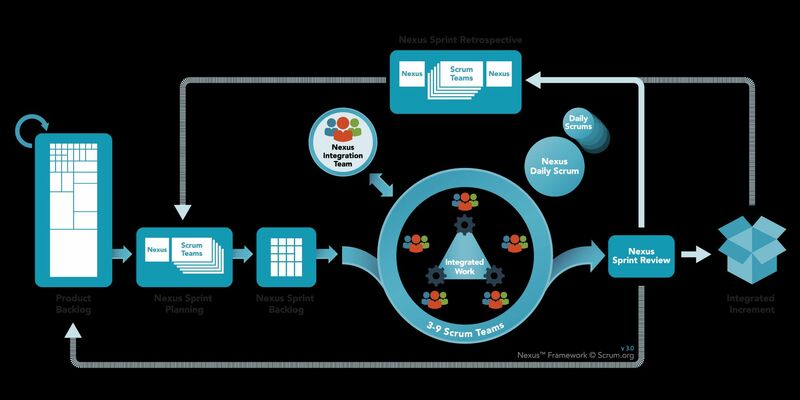 The members of this team are often individuals from each of the Scrum Teams in the Nexus, providing accountability and representation from the different Scrum Teams. We also found that in an effort to scale, some organizations were ironically becoming more bloated and process driven which hindered their ability to become more agile and to scale successfully. Scaling - meaning getting more done in a given timeframe, and successfully - by delivering more value. Transparency helps here and was a major premise in this update. We’ve added and tweaked some language to the Nexus Guide that focused on elevating that transparency. For instance, "the integrated artifact represents the current state of the integrated work of the Nexus", "current" being the new and optimal word. You can see how adding this word to the definition of an Integrated Increment artifact can drive more transparent conversations. Another major change was aligning the Nexus Guide to the most recent update of the Scrum Guide from November 2017. A major theme from this last Scrum Guide update was around continuous improvement. We wanted to make sure we embraced these changes also. For instance, to mirror the updated definition of the Sprint Retrospective, we’ve updated the definition of the Nexus Sprint Retrospective to include that it "is a formal opportunity for a Nexus to inspect and adapt itself and create a plan for improvements to be enacted during the next Sprint to ensure continuous improvement." The last major change I’ll mention is our addition of a Creative Commons license to the Nexus Guide. For me personally, this was the most meaningful update. This license means that like Scrum, Nexus is offered free for teams and organizations globally to share and reuse its content. I am grateful to the Scrum and agile community for helping us improve the profession of software delivery. You can learn more detail on the changes to the Nexus Guide in my recent blog, Nexus™ Guide Update, January 2018 and this change log. InfoQ: What are the roles and responsibilities of the Nexus integration team? Kong: The Nexus Integration Team is a role that does not exist in Scrum. The purpose of this team is to provide accountability and representation from the multiple Scrum Teams in the Nexus and to ensure that a "Done" integrated increment is produced at least once a sprint. The Nexus Integration Team integrates the Nexus. Membership of the Nexus Integration Team includes the product owner, a Scrum master, and one or more Nexus Integration Team members. The members of this team are often from the individual Scrum teams in the Nexus. This composition supports the necessity of bottom-up intelligence from the individual Scrum teams within the Nexus. With exception to the product owner, members of this team may change over time. That makes sense because what the Nexus is working on may vary over time. In general, the Nexus Integration Team serves the Nexus through facilitation and coaching. They are constantly highlighting cross-team dependencies and issues to help the entire Nexus, as a whole, in their ultimate goal of delivering value. InfoQ: Are there practices that you would recommend for integrating the products developed by the teams? Which ones, and why do you recommend them? Kong: The essence of scaling with multiple teams building one product consists of two things: Anticipation and Reification. In this case, anticipation means that we form a Nexus to integrate multiple teams together. Reification means that to make the scaling initiative work, teams should adapt practices that will help them continuously identify and remove dependencies, integrate work across all levels, and inspect and adapt regularly and frequently. What works for one set of teams and one Nexus may differ from organization to organization based on what works for them and their environment. In the Scrum.org graphic of Nexus, we’ve labeled the different roles, events, and artifacts. In the center of the circle with many teams is a triangle with cogs on it. That represents practices like frequent integration, acceptance testing, continuous delivery, and minimizing technical debt, that are needed to ensure that concealed dependencies don’t corrupt outcomes. A few items that don’t get considered enough in my opinion with scaling initiatives are what can be done before scaling, the notion of descaling (reducing the number of teams), and measuring outcomes and value. However, ultimately, teams and organizations should try practices that will work for them and their scaling initiatives. InfoQ: The Nexus guide emphasizes transparency. Why is this so important, and what can be done to establish transparency? Kong: In the spirit of agility, and in the support of inspection and adaptation, I consider transparency to be a positive disruptor and a catalyst for focus. Lack of transparency results in distrust and insecurity. This is important to consider for any relationship, whether between two people, 10 teams, or an entire organization. One way to promote transparency in a Nexus could be through the visualization of their work and their cross-team dependencies. That helps the teams create a shared understanding. Another important way to instill transparency is for people to give and receive honest feedback. However, this is easier said than done. InfoQ: What are the benefits that organizations have got from applying Nexus? 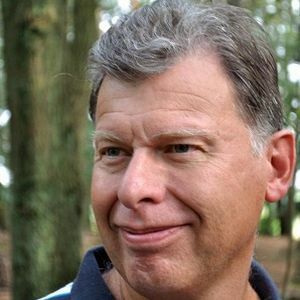 Kong: We have several case studies and webinars on the Scrum.org site that recount the experiences different organizations have had implementing Nexus. The main benefits that I have found from my own experiences and these case studies are the ability to get started quickly. The teams and organizations benefit and build upon their existing Scrum experience and this allows them to scale naturally into a Nexus, because scaled Scrum is still Scrum. We have also seen teams increase their ability to integrate, inspect and adapt, and deliver a valuable integrated product to their customer more quickly. The focus of uncovering and minimizing dependencies in Nexus is key to helping them delivering an integrated product. A great benefit that we also see across organizations using Nexus is the fact that the teams have said that they are happier. They appreciate each other and the spirit of teamwork when working toward a single goal. Nexus, after all, is a relationship or connection between people or things. 'this is easier than said than done' maybe should is ' this is easier said than done'? Thanks for letting us know! I corrected it.